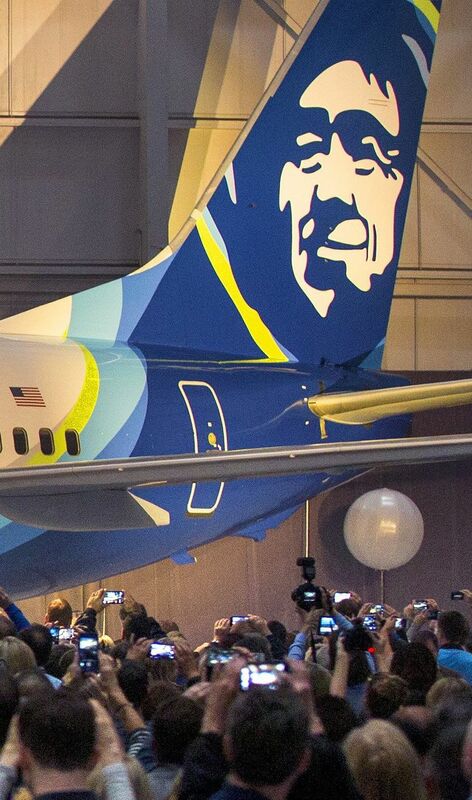 Alaska Airlines on Monday unveiled a major rebranding that adds a splash of color to its planes’ livery. The new look, revealed at an employee event, will be applied also to the airline’s website, airport gates, mobile app and credit cards. 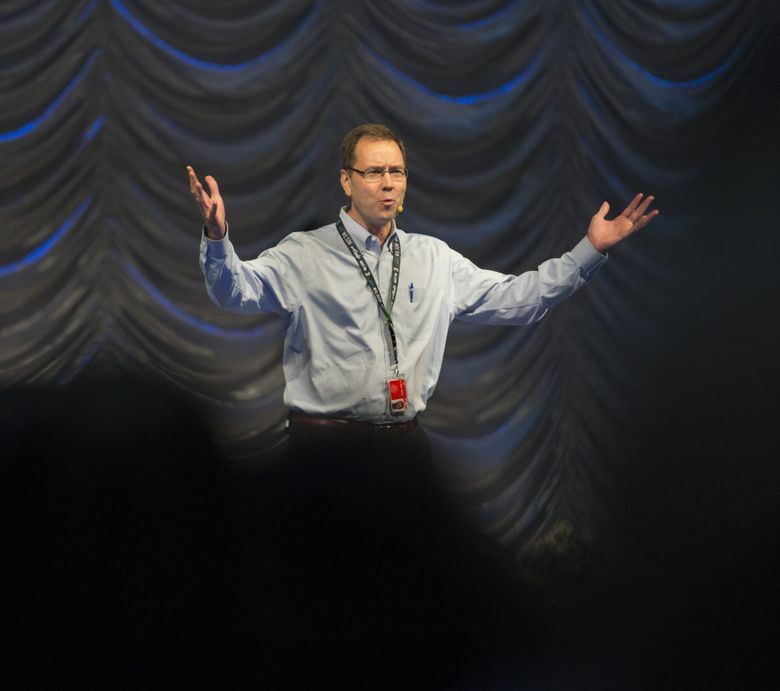 Alaska Airlines CEO Brad Tilden unveiled Monday a major rebranding that adds a vivid splash of color to the hometown carrier’s jets. The airplanes currently sport a mostly white livery with a line of blue-and green trim along the fuselage. The word “Alaska” is written in a font designed to resemble icicles and a portrait of an Eskimo elder dominates the tail. 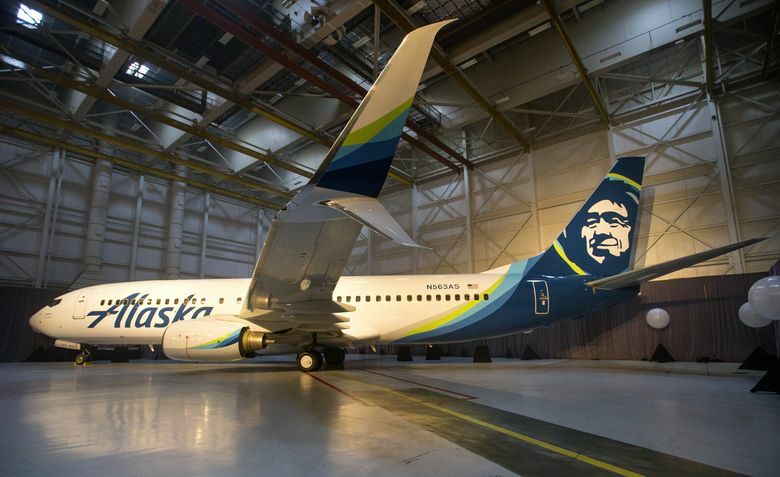 The new look retains the iconic Eskimo, but now the jet’s tail is swathed in color, a dark blue edged with lighter blues and green. The lighter colors also trace the fur lining of the Eskimo’s parka. A clean-lined italic font replaces the icicle script. 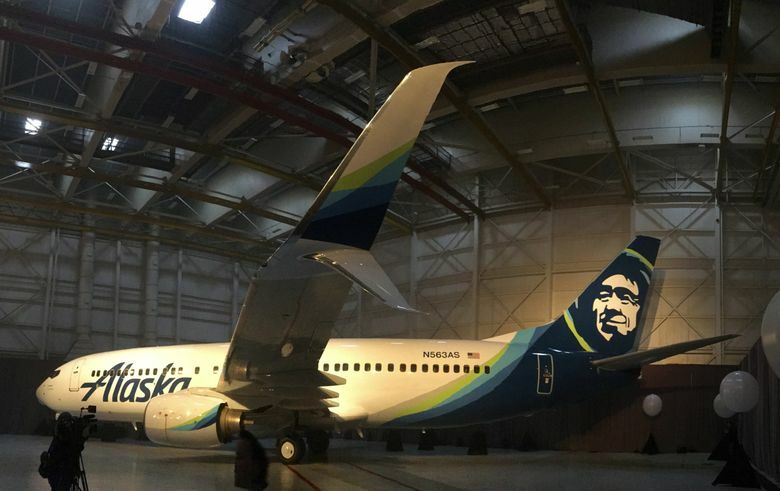 The new look, revealed to a crowd of about 2,000 employees at the Alaska Airlines hangar at Sea-Tac International Airport, will be applied also to the airline’s website, airport gates, mobile app and credit cards. Passengers arriving for Alaska flights Tuesday morning at Sea-Tac will see updated signage at the gates. 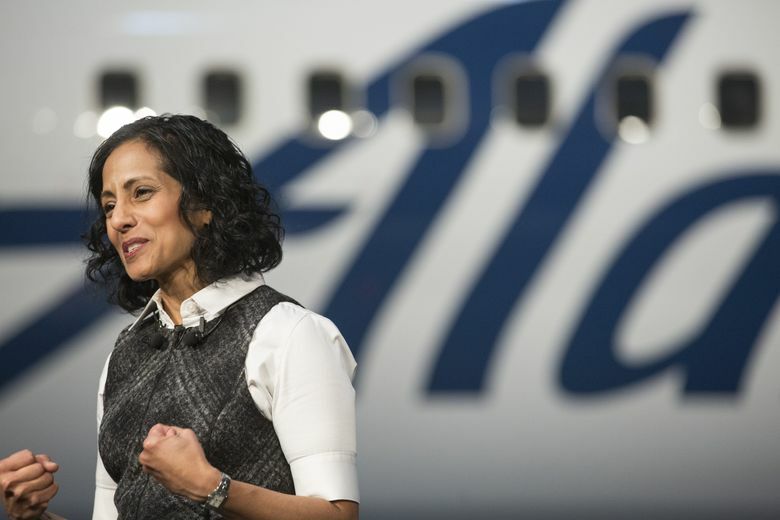 The brand-refresh project was led by Sangita Woerner, Alaska’s vice president of marketing, who joined the airline a year ago after heading up coffee-brand management at Starbucks. 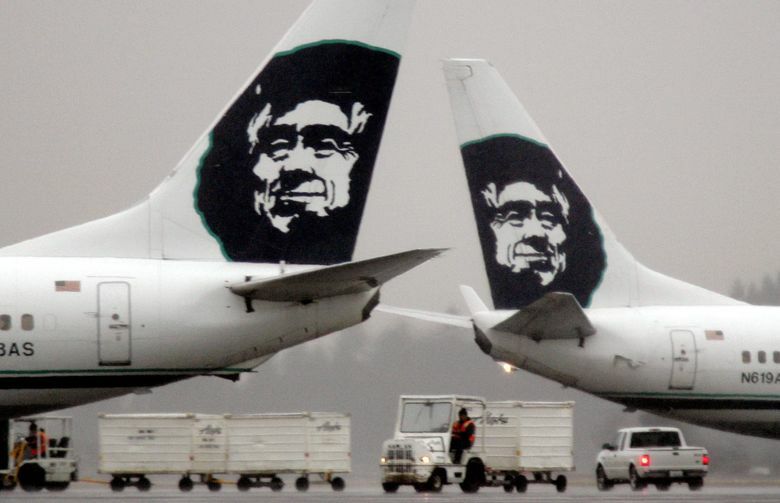 The changes are timed to follow recent upgrades to Alaska’s service, including free entertainment, better-quality meals and power outlets at all passenger seats. Information in this article, originally published Jan. 25, 2016, was corrected Jan. 26, 2016. 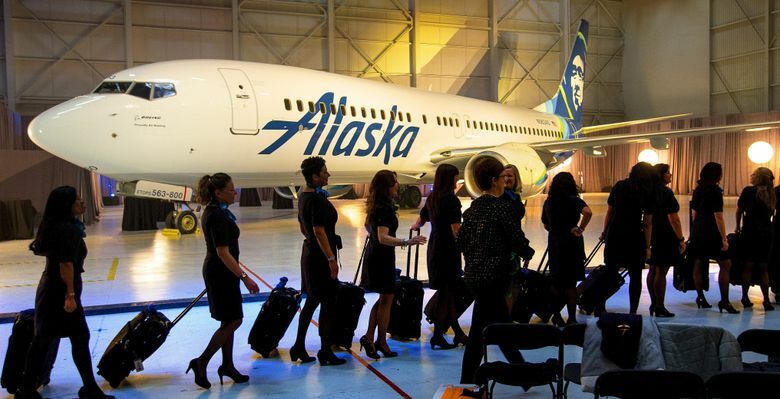 A previous version of this story incorrectly stated that the current Alaska Airlines livery is purely black-and-white. It is white with a thin line of dark blue-and-green trim along the fuselage and around the engine pods.